Now that fall has arrived in full force and temperatures are dropping all over the country, it is a good time to think about winterizing your home for the upcoming season. The things you do now will help your home remain in top shape through a period of harsh conditions and bad weather. This is especially important for people who live in the coldest regions, but everyone can benefit from doing at least a few things to prepare their home for winter. Here are some things to do to winterize your home this year. If it hasn’t been done in a while, have a chimney sweep clean it and remove soot. Place a screen at the top of your chimney to keep out animals. Make sure that the fireplace damper opens and closes properly, and keep it closed when the fireplace is not in use to keep out cold air. Inspect the mortar for disrepair. Stock up on firewood, and store it in a dry place that is not right along the outside of your home. Have a professional check your furnace and clean the ducts. Buy filters now and mark your calendar to remember to change them monthly. Remove any items that could catch on fire from the outside of the furnace. If your home is heated by a hot water radiator, open the valves until water appears, then close them, to bleed them out. Remove gas from your lawnmowers. Check that your snow blowers are tuned up and working properly. Make sure that you have snow shovels and rakes that work well and aren’t too worn. Stock up on bags of ice for melting snow now. 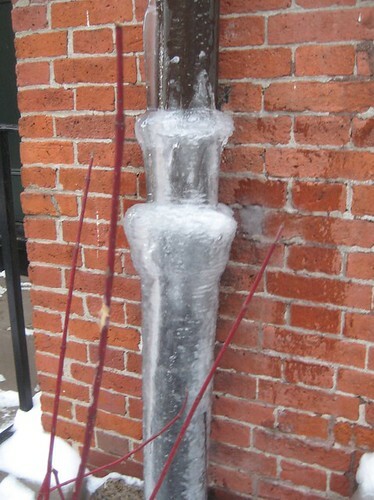 Be prepared to prevent your plumbing from freezing. Make sure you know where your water main is in case you need to shut it off. Drain your garden hoses. Insulate any exposed pipes or portions that run in unheated areas. Turn off the shut-off valve in your air conditioner. Also, if you aren’t in your home for an extended period of time like for vacation, don’t turn your heat off completely. Leave it on to at least 55 degrees. 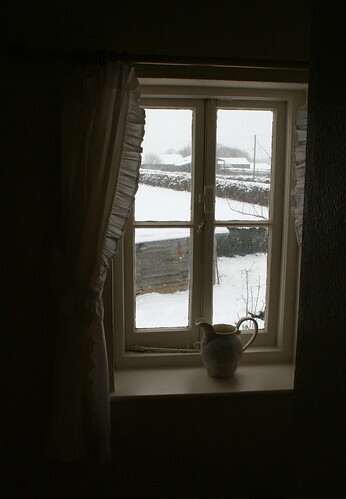 To prevent cold air from coming in your home, weatherstrip your doors and caulk your windows. Replace any cracked glass. Take out your summer screens, and install any storm windows. Check the condition of your roof, and replace any broken or worn shingles or tiles. Clean out your gutters, and use a hose to flush them completely of dirt and rubbish. Consider putting extra insulation in your attic. Properly store and cover your patio furniture, grills, potted plants, and the like. Seal your driveway and wood or brick patios and decks. Make sure that your trees are trimmed and limbs are not in danger of falling onto power lines or your roof. Make sure that you are also prepared in the event of an emergency. Check your supplies and keep on hand bottled water, nonperishable food, pet food or baby formula if necessary, blankets, flashlights, batteries, and a first aid kit. Make sure that your smoke detectors are working properly. Terry Ford lives in the Pacific Northwest and writes for Grammarly, the most accurate grammar checker on the web.